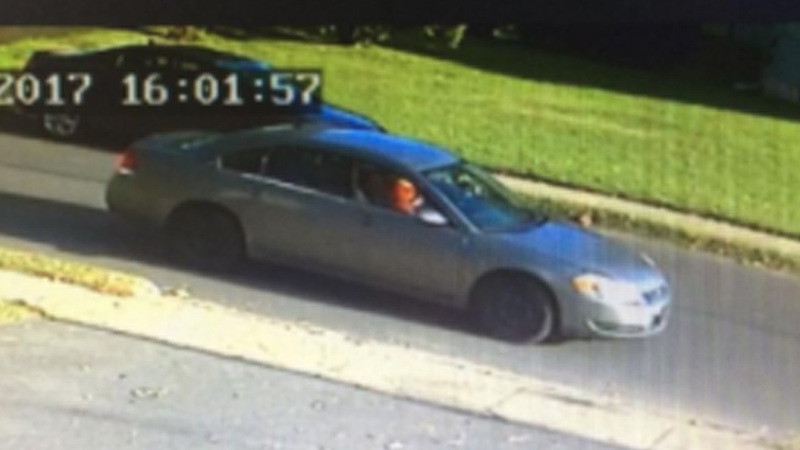 BRISTOL TWP., Pa. (WPVI) -- The Bristol Township Police Department has released a photo of the vehicle involved in a child luring incident. It happened Thursday afternoon on Glenrose Avenue near Malinda Drive in West Bristol. Authorities said a 10-year-old girl, who just got off a school bus, was walking home when a silver car pulled up alongside her. Police said she started to walk faster, and the vehicle followed along next to her for a short distance. Eventually the girl began to run and the vehicle continued to follow, straight on Glenrose Avenue. Police said a man in his mid 20's, described as Indian with an accent said, "Get in the car." He then winked as he took off his sunglasses. The man is described a stocky with straight light brown hair and greenish eyes. Police said he has a tattoo on his left bicep and was wearing a red shirt with "Pride" written on it. The car is described as a newer, silver, 4-door sedan, similar to a Honda Civic. The vehicle is said to have a square, white, sticker on the lower left corner of the rear window with black writing on it. Police are asking anyone who lives in the neighborhood that has a street facing video camera to review the footage taken Thursday gathered between 3 and 4:15 p.m. They also ask that anyone with information about the incident, or the man who was described, contact the Bristol Township Police at (215) 785-4040. Refer to incident number 17-24552.